Lake Chalice: The Prison System: How Will Our Great-Grandkids Forgive Us? The Prison System: How Will Our Great-Grandkids Forgive Us? Books like Harriet Beecher Stowe’s Uncle Tom’s Cabin were crucial for the abolition movement. While Stowe's novel is problematic for perpetuating certain stereotypes, it did serve to make vivid and unignorable the human abuse that went with slavery. When I was in school, I learned that when Abraham Lincoln first met Harriet Beecher Stowe at the beginning of the Civil War, he greeted her with, “So this is the little lady who started this great war.” I now understand that that’s apocryphal – Lincoln didn’t say it. Nevertheless, detailed stories of the concrete suffering are a key part of countering the human tendency to not think about what’s uncomfortable, not think about things that, if they did think about, they’d have to make changes. What practices come to mind as the ones for which our great-great-grandkids will have a hard time forgiving us? Lake Chalice is interested in hearing from you what you think. Appiah suggests four current practices that future generations will condemn. I find his selections compelling. Do you? Lake Chalice will be looking at those four over the next days. 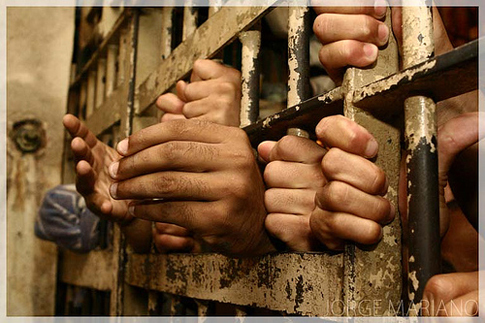 while the US has 4 percent of the world’s population, it has 25 percent of the all the world’s prisoners. Most of our prisoners are non-violent offenders, many of them on drug offenses that would not even have been illegal at all in some industrialized nations. The punishment prisoners face goes far beyond the judge’s sentence. 100,000 inmates are sexually abused every year. 25,000 are in isolation under conditions many psychologists say amounts to torture. The defenders of our prison status quo tend to cite the administrative difficulty of reform. And: most of us just put the issue out of our minds – easy to do because the whole point of prison is to keep prisoners out of sight. Criterion 1: The arguments against it have been around a while, had time to sink in and time to be refuted if they were going to be. Criterion 2: The arguments for it tend to be arguments of convenience or necessity or tradition. Critierion 3: Continuation of the practice relies on people just not thinking about it much. This is part 4 of 7 of "The Future Will Judge Us"
Next: Part 5: "Industrial Meat: How Will Our Great-Grandkids Forgive Us?" Previous: Part 3: "Three Criteria"